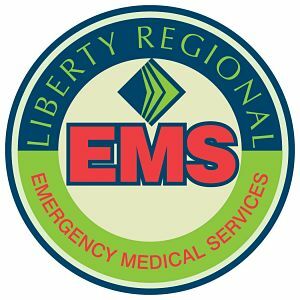 Liberty Regional Emergency Medical Services is a hospital based, county supported EMS that is committed to public service by providing advanced life support ambulance services to the citizens and guests of Liberty County, GA.
LREMS came into existence in 1994 when EMS changed from being managed by Liberty County to being managed by Liberty Regional Medical Center. This move brought EMS and the Medical Direction together into the same organization allowing LREMS to be Patient Focused. We serve our patients 24 hours a day, 365 days a year from 2 strategically and conveniently placed locations. Our 5 units are staffed with highly-trained Paramedics and EMTs who are experienced and knowledgeable. As Patient needs increase, these units will relocate to predetermined standby locations in order to provide the quickest response times possible. Liberty Regional Medical Center Emergency Department serves as our online medical control. This Medical Control along with our aggressive standing protocols allows LREMS to be one of the most progressive ambulance services in the area. LREMS teams with the Liberty County Sherriff’s Department and Liberty County Fire Services as well as Law and Fire agencies from the Hinesville, Midway, Riceboro and Walthourville Municipalities to provide a unified Public Safety response throughout the entire area. We also have mutual aid agreements with the neighboring counties as well as Fort Stewart.